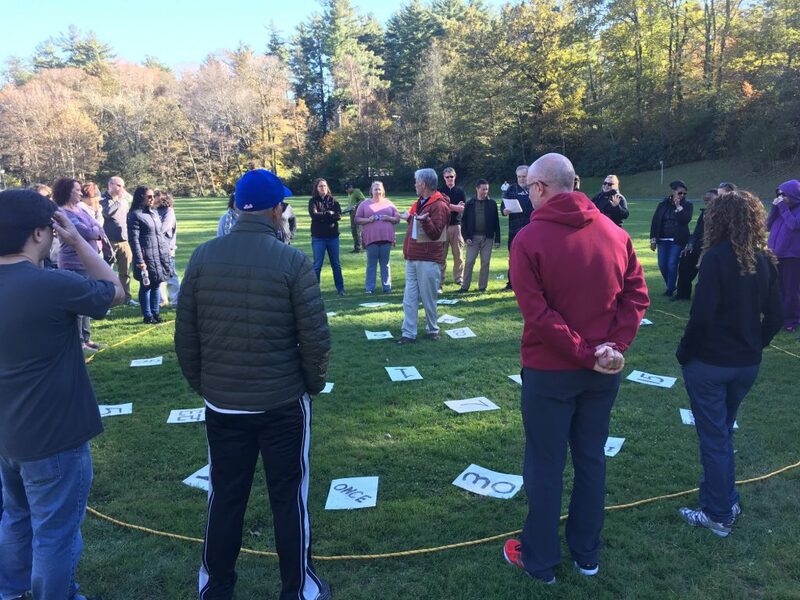 On a sunny day in October, in Blowing Rock, NC, facilitators of Outward Bound Professional (OBP) Program began splitting a large group of coworkers into three smaller groups on the lawn of the town park’s baseball field. From lawyers to IT staff and office administrators, the employees of the Federal Public Defender Office for the Western District of North Carolina worked through a series of activities and initiatives of gradually increasing challenge. Prior to the day of initiatives, the OBP facilitators had met with the group from the WNC Federal Public Defender Office to set up some specific and tailored goals for the program. The aim? 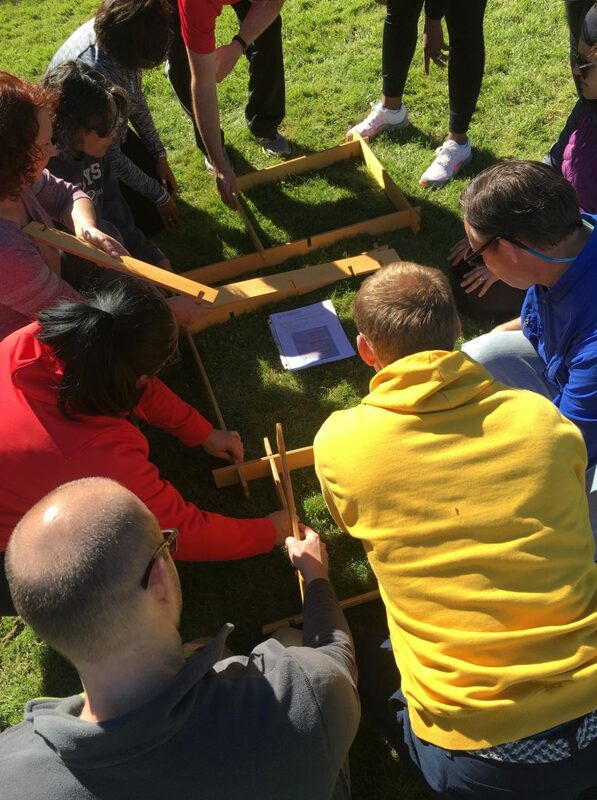 To provide an exciting and fun way for the work group to work together toward a common vision and to further develop effective teamwork skills, build relationships and sharpen problem-solving skills. The day culminated in a larger group session making valuable connections from the day’s activities to their everyday work. Employees were invited to make goals for transferring their learning back to the office or courtroom and sharing it with their colleagues. 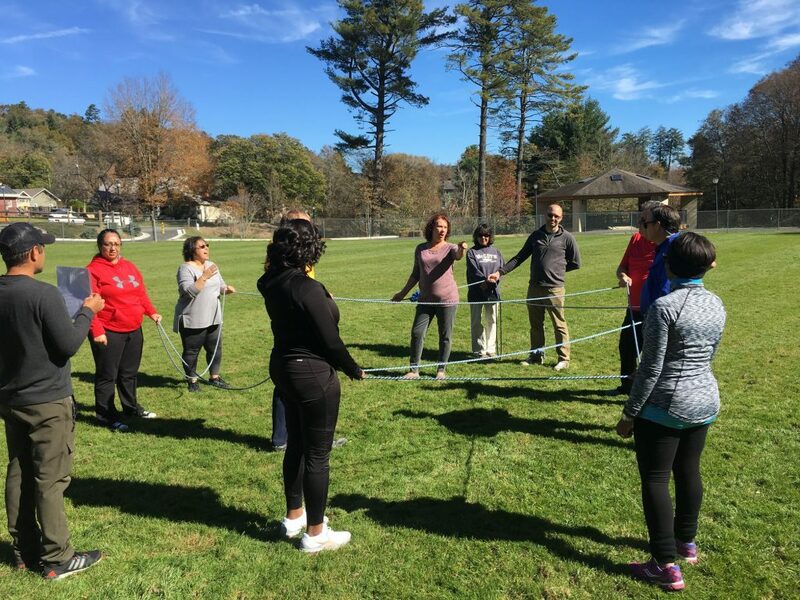 To find out more about the Outward Bound Professional Program visit our website or email Paige Edwards-Werhan, Associate Director of Outward Bound Professional at pwerhan@ncobs.org to bring this program to your own workplace.